Citation: Knight, Michael; Pell, Andrew; Bertini, Ivano; Felli, Isabella; Gonnelli, Leonardo; Pierattelli, Roberta; Herrmann, Torsten; Emsley, Lyndon; Pintacuda, Guido. "Structure and backbone dynamics of a microcrystalline metalloprotein by solid-state NMR" Proc. Natl. Acad. Sci. U.S.A. 109, 11095-11100 (2012). Superoxide_dismutase_C6A-C111S_thermostable_mutant, polymer, 153 residues, 15779.566 Da. COPPER (II) ION, non-polymer, 63.546 Da. 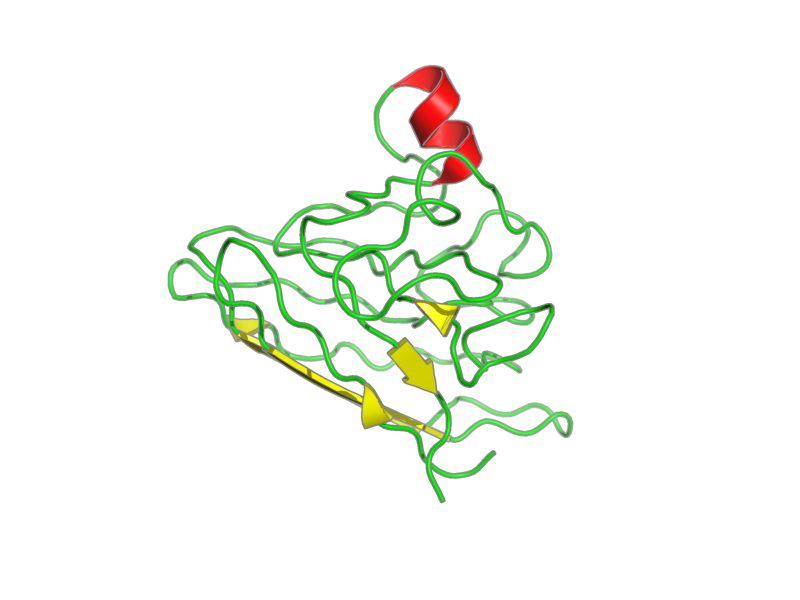 Entity 1, Superoxide_dismutase_C6A/C111S_thermostable_mutant 153 residues - 15779.566 Da. Entity 2, CU2 - Cu - 63.546 Da.